Find what you're looking for, faster! IVC is committed to improving its Online Database features and functionalities. 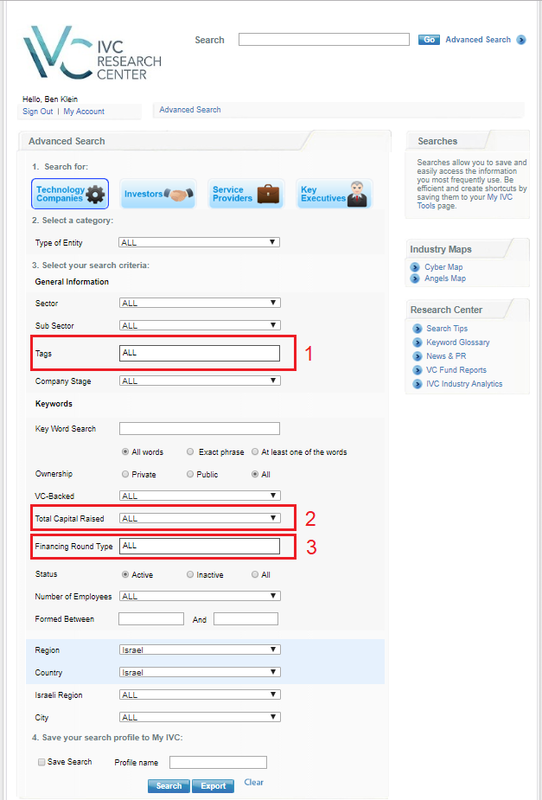 We are happy to share 3 new updates which will upgrade your search capabilities and results. Tags are the way we allocate a company to a specific industry, cluster or vertical - in order to better associate its line of interest. Often, companies' size or stage can also be determined by the amount of money raised. Here you'll be able to differentiate between the different maturity levels companies go through. Another way of finding the right company is by Financiang Rounds. As companies mature and grow, they move up the 'food-chain'. Filtering your search by financing rounds can assist in narrowing down the list.